Sorry about the CAPS. Actually I’m not that sorry – I’M SO EXCITED!!! 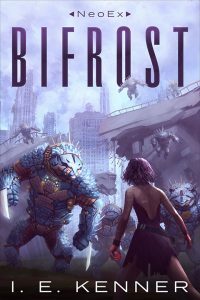 My debut novel Bifrost has been published in ebook form and is now available on the major ebook platforms. If you haven’t already – please click one of the buttons below to go to the respective store purchase page! Once you’ve finished reading (because of COURSE you’re going to read it – it’s amazing! Just ask me! ), please let me know what you think and do please leave a review on your ebook platform or on goodreads.